Dork Report #4 ~ Blood Moon Eclipse Tetrad Complete. Level Up. Last night signaled the end of a four-part project. I had my doubts along the way. We shivered. We yawned. We disturbed neighbors with outlandishly loud gas. In an odd way, I’m proud that most of the kids and I witnessed all four of the eclipsed moons this past year and a half. We found ourselves outside at iffy hours on April 15, 2014. There we were again, nerding out on October 8, 2014. Look at us gaping at the sky on April 18, 2015. How could we justify missing the final tetrad moon when it rose just after dinner on a Sunday night? No excuses. Not even the lure of watching the Denver Broncos play the Detroit Lions could keep us away. Peyton would do his thing, regardless. 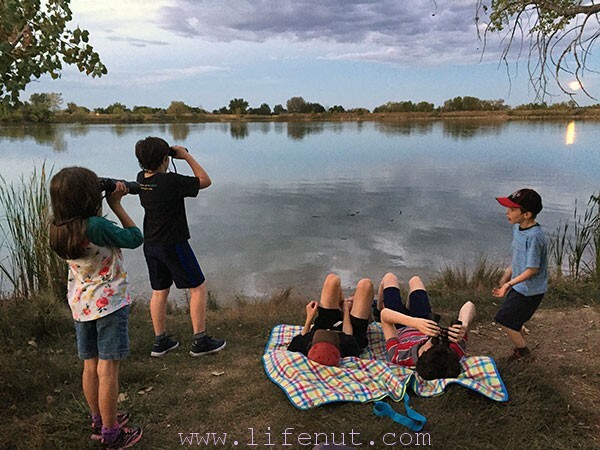 Shortly before 7:00pm MDT, Sam, Tommy, Joel, Beatrix, Archie, and I walked down to the neighborhood lake. The moon was just rising, and our backyard trees would block the view. We needed something more unobstructed. 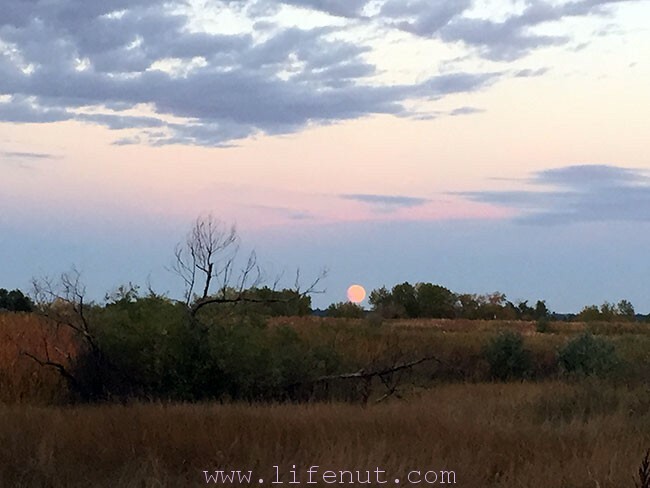 The moon was a beautiful peach color and slightly obscured by the time we set up a little camp on a clear portion of the shoreline. We traded around binoculars for several minutes. Unfortunately, clouds hovered near and the moon slid behind as they thickened. We did not get to witness the full eclipse, but we dutifully gawked while we could. It was slightly disappointing. We walked home in the dark. As predicted, Peyton was doing his thing just as if nothing was going on in the cosmos other than an advertising executive dreaming up the next Nationwide Is On Your Side commercial.